Building a gaming PC requires research to ensure compatibility and in order to select the best combination of components based on budget and target performance. This would require a significant amount of time going through reviews, checking out discounts, getting feedback from friends and experts and other things. If you don’t have time to do such, EVGA’s DIY Configurator will help you build a gaming PC in a jiffy. The EVGA DIY Configurator offers a convenient and simple solution in building a gaming PC using EVGA hardware. You can eliminate making multiple orders and tracking multiple packages. The DIY Configurator is designed to be user-friendly as well as to reward EVGA users and loyal fans with discounts as you buy more EVGA items. Selection starts with the graphics cards as the first component to be selected followed by the gaming chassis and power supply. These three components are a ‘required purchase’ on the DIY Configurator. It is then followed by the motherboard, cooling hardware and peripherals as ‘optional purchases’. 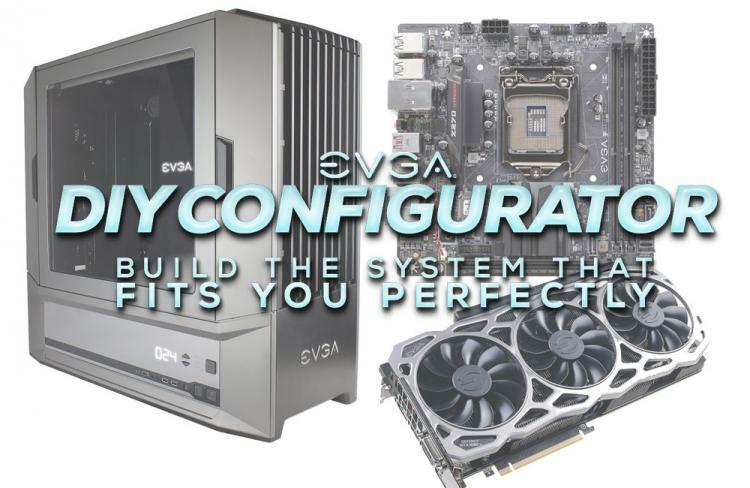 Note that the DIY Configurator as of this moment only includes EVGA-brand hardware so processor and other components will have to be purchased separately. Also, the EVGA DIY Configurator only offer the brand’s latest hardware releases. Discontinued products are not available for selection.